Christine Looney serves as the Ford Foundation’s deputy director of Mission Investments. In this role, she supports investments under the Foundation’s two mission investment funds – the $280 million program related investment fund and the newly created $1 billion mission related investment fund. She supported Ford’s strategic planning efforts to develop a new line of work on impact investing which integrates grant and investment capital as well as the approval of the Foundation’s new mission related investment fund. Before joining the Foundation, Christine worked in nonprofit consulting and was an associate in Chase Manhattan’s Structured Finance Group. 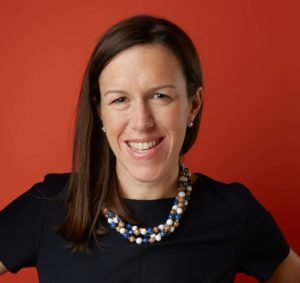 Christine has a MBA in finance and management from New York University’s Stern School of Business and a bachelor’s degree in economics from College of the Holy Cross. She is on the board of Mission Investors Exchange.